Little Colton aged 4, complains of stomach pains and runs a high fever. His parents, Todd and Sonja Burpo take him to a hospital where the doctor fails to diagnose the problem. The little boy is now deteriorating to such an extent that they remove him out of the hospital and take him to another one where he is diagnosed for a burst appendix. Rushed into surgery, little Colton while on the surgery table experiences something many people never do. He apparently goes to Heaven and meets Jesus. 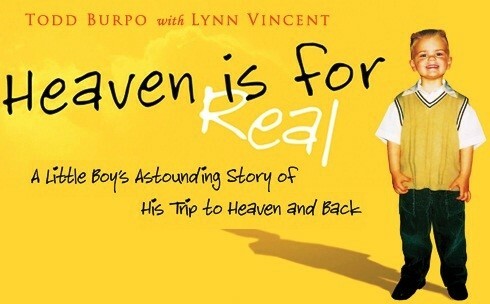 After he is home he starts to recount his story to his parents, as best as a 4 year old can, of his trip to Heaven and back. Todd Burpo is pastor of Crossroads Wesleyan, a wrestling coach, a volunteer fireman, and he operates a garage door company with his wife, Sonja, who is also a children’s minister, busy pastor’s wife, and mom. Colton, now an active 11-year-old, has an older sister Cassie and a younger brother Colby. The family lives in Imperial, Nebraska. Lynn Vincent is the New York Times best-selling writer of Same Kind of Different as Me and Going Rogue: An American Life. The author or co-author of nine books, Vincent is a senior writer for WORLD magazine and a lecturer in writing at the King’s College in New York City. She lives in San Diego, California.